classic heavy D shape wedding ring in 9ct yellow gold. 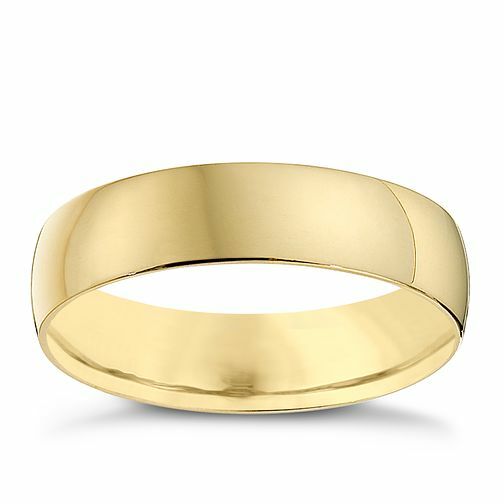 9ct Yellow Gold 5mm Heavy D Shape Ring is rated 4.2 out of 5 by 12. Rated 4 out of 5 by Anonymous from Good value The ring is well made and looks great. Very good value for money. Rated 4 out of 5 by Anonymous from Great ring Was the wrong size at first but the staff were very helpful reordering it in the correct size. Looks fantastic and great price. Very happy.